Ready for something amazing? We're excited to announce a brand new event for 2019! The SUNFLOWER FESTIVAL will be held September 14 & 15 at Scarecrow Farm. Sunflower Festival will be fun for the whole family. 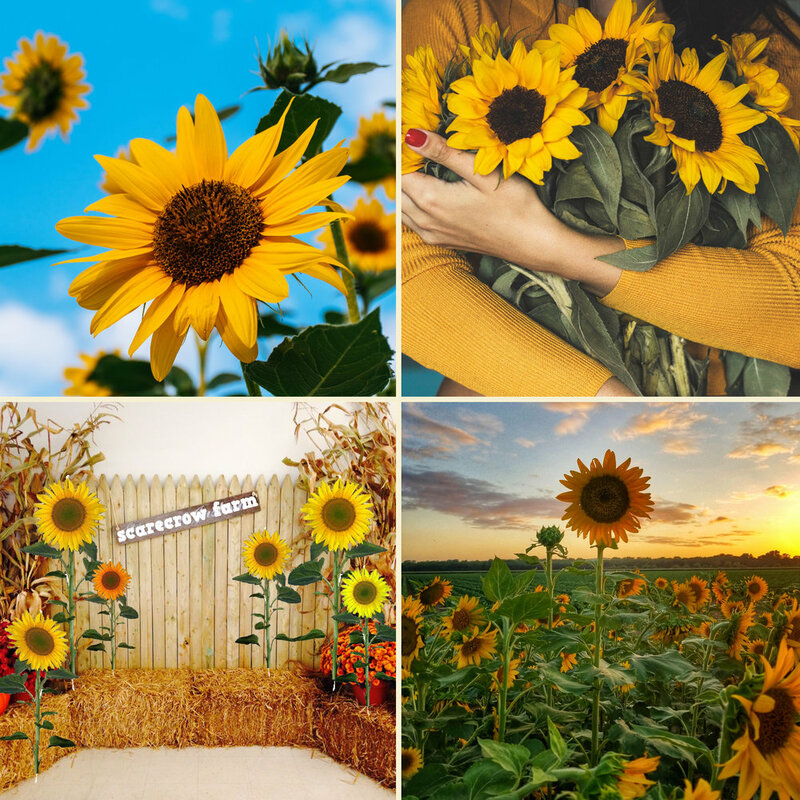 Expect family-friendly activities, food, live entertainment, and lots of beautiful sunflowers. Admission is just $11.95 (plus tax) per person (children 2 and under are free)! One sunflower bloom is included with every paid admission. For the most up to date information check out our Facebook page. Bring a little sunshine into your life! Take a stroll through thousands of beautiful sunflowers! We’re planting over two acres of sunflowers in all sizes and colors. You’ll find tons of beautiful photo opportunities in our “big circle of yellow” and other patches scattered around the farm. Pick your own sunshine! One sunflower bloom is included with every paid admission. We’ll also have additional sunflowers and pre-made arrangements available for purchase. The Sunflower Festival offers fun for the whole family. Expect family-friendly activities, live entertainment, and lots of beautiful photo opportunities. Time spent at Scarecrow Farm is always fun, family-friendly and informative! Of course we’ll have all of the usual fun activities you’d expect, but we’ll also have lots of extra events that will be available only during the Sunflower Festival. Our outdoor stage will feature live music and exciting entertainment all weekend long. Check our Facebook page for the latest schedule and roster. 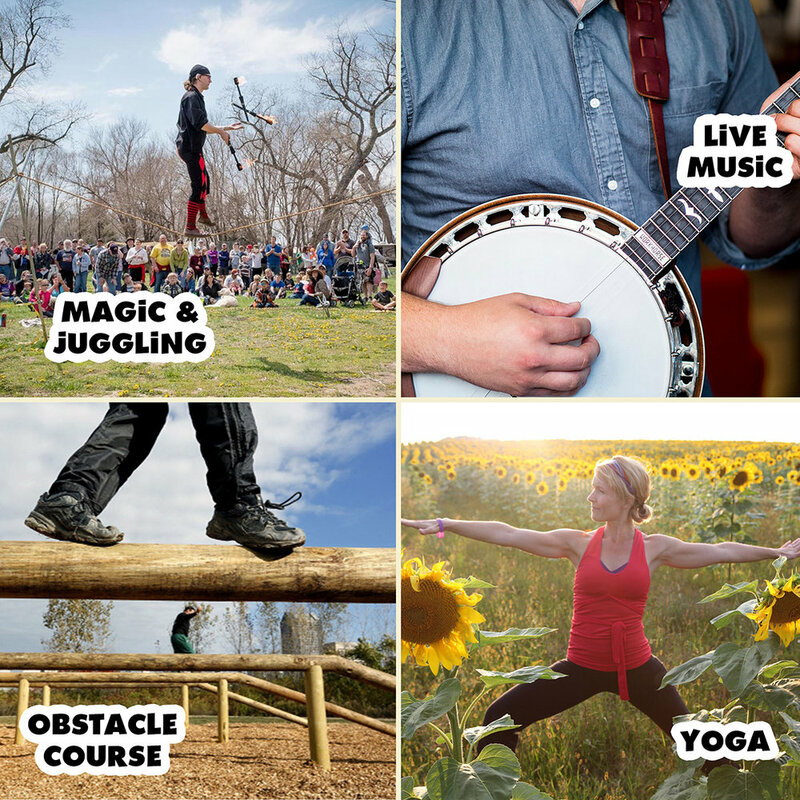 Don’t miss healthy snack demonstrations, kid powered tractor pulls, pony rides, morning yoga in the sunflower field, and more. It will also be the first weekend for our all new Kakashi Warrior obstacle course. With plenty of fun activities for the whole family, a day at our Sunflower Festival is sure to be packed with enjoyment. Have fun and see you soon! If you’re coming to the Sunflower Festival to enjoy the fun, we hope you’ll stop at one of our many food stands and enjoy a snack! 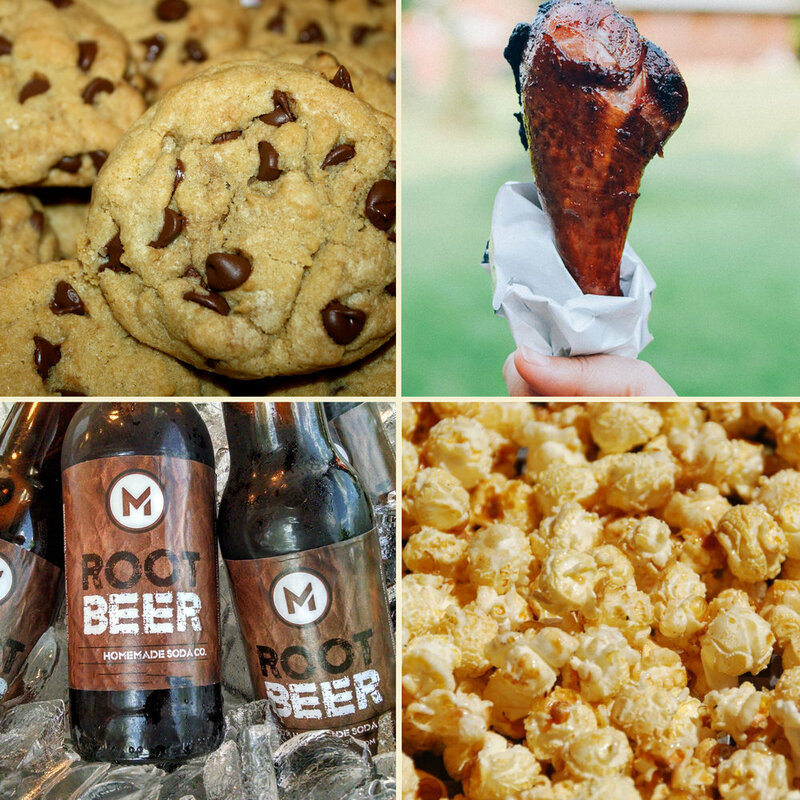 Choose from our newest offerings like homemade chocolate chip cookies, giant smoked turkey legs, or a delicious root beer float. Quench your thirst with our ever expanding selection of ice cold root beers, cream sodas, and vintage sodas. Oh, and don’t forget our famous kettle corn! Our Farm Market building is your headquarters for jams, jellies, local honey, salsas and pickles as well as fresh squash, pumpkins and apples. Take a taste of the farm home with you!